I like to think I know Manchester pretty well, especially when it comes to eating to and drinking. 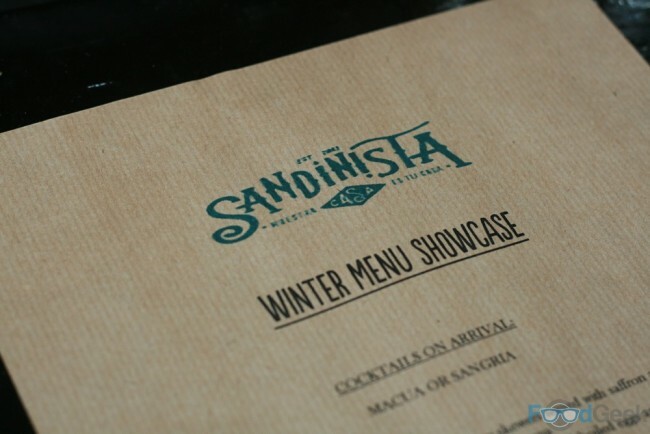 But I’d never heard of Sandinista when I was invited to preview their winter menu. I assumed it must be new, but it turns out the Latin-inspired tapas bar/restaurant has been tucked away on Old Bank Street, next to the Royal Exchange Theatre for four years. Who knew? I’m always unsure whether to accept invitations to unknown places. 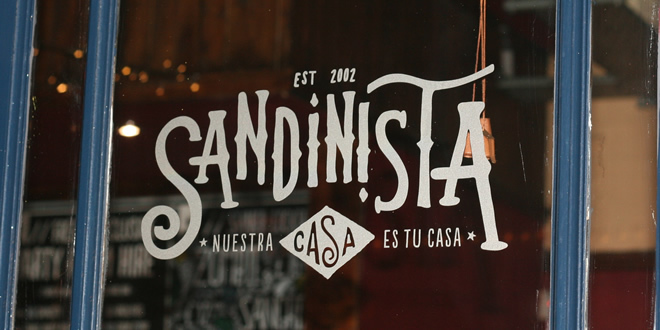 In the end, I went to Sandinista because it looked and sounded interesting, not least because their ‘food consultant’ boasts two years working at legendary El Bulli Restaurant on his CV. Also, Simon, the guy doing PR for both the original Sandinista in Leeds as well as Manchester works with some of my favourite places in Leeds too. I arrived late so missed the first few dishes, luckily I was in time to grab a cocktail. 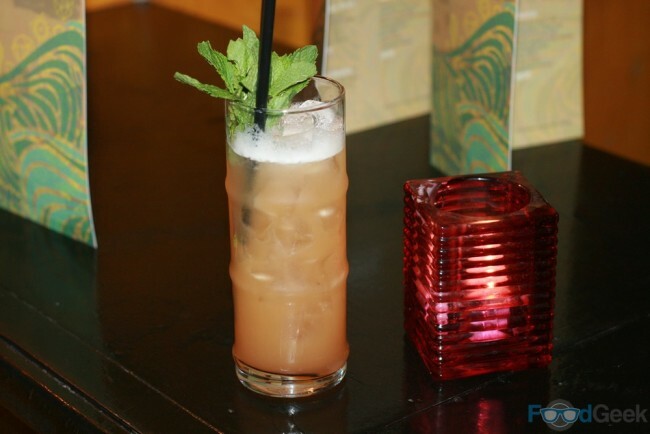 The ‘Macua’ is a fruity combination of rum with guava, orange and lemon. More of a summer drink really but I wasn’t complaining, it tasted great. I just caught the end of a dish which seemed to go down well with everybody around me, ‘Mulled Wine Chorizo’. A festive twist on a Spanish tapas classic, with chorizo in a sticky mulled wine syrup. A nice idea but a touch too sweet for me. Other dishes I missed included ‘Honey Glazed Ham Hock’ and ‘Wild Rice & Goat’s Cheese’, which I’m told was one of the best of the night. There was plenty of food left for me, although it was a bit hit and miss. 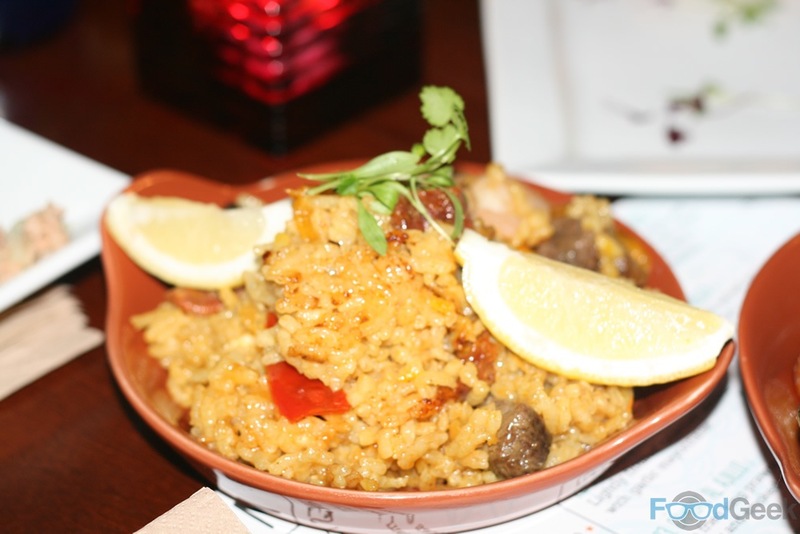 The traditional ‘Paella’ was fine, if a little dry. But the ‘Escalibada’ really wasn’t good at all. Described as ‘smoky vegetables’ served on sourdough. 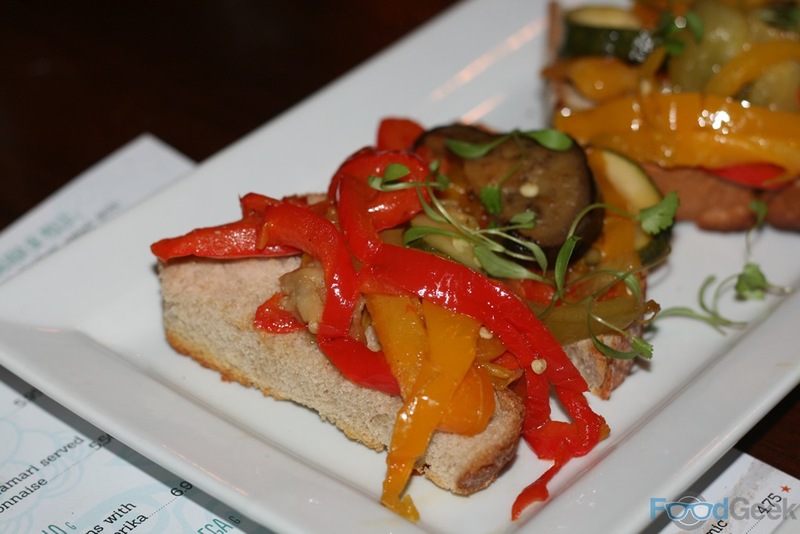 I didn’t get any smoke at all, essentially just lukewarm peppers and aubergine on soggy bread. 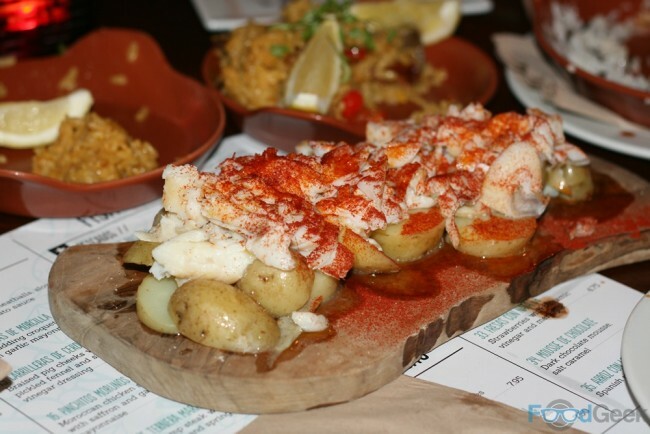 There were some highlights though; ‘Smoked Haddock’, a simple Galician dish of new potatoes and well cooked, lightly smoked fish topped with paprika was excellent. 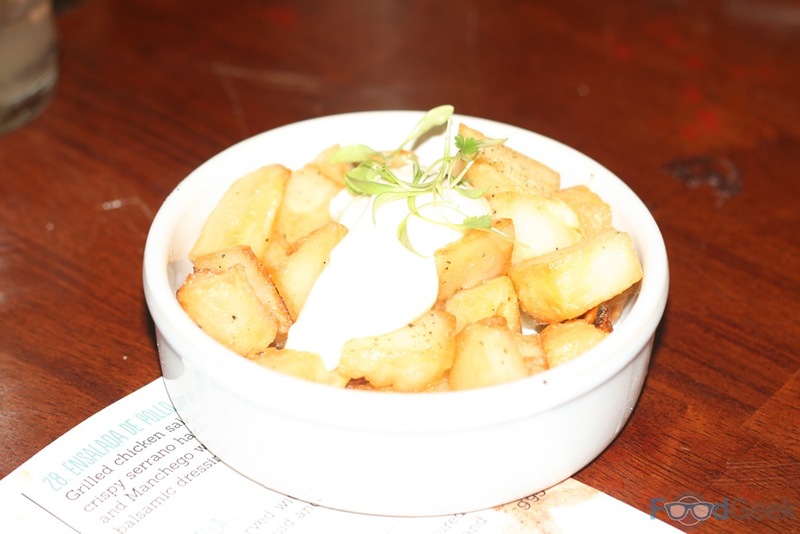 Another simple dish, ‘Duck Fat Roast Potatoes’ was equally enjoyable despite the potatoes not being as crisp as I’d like. What they lacked in texture they made up for in flavour from the wonderful duck fat and punchy garlic packed aioli. 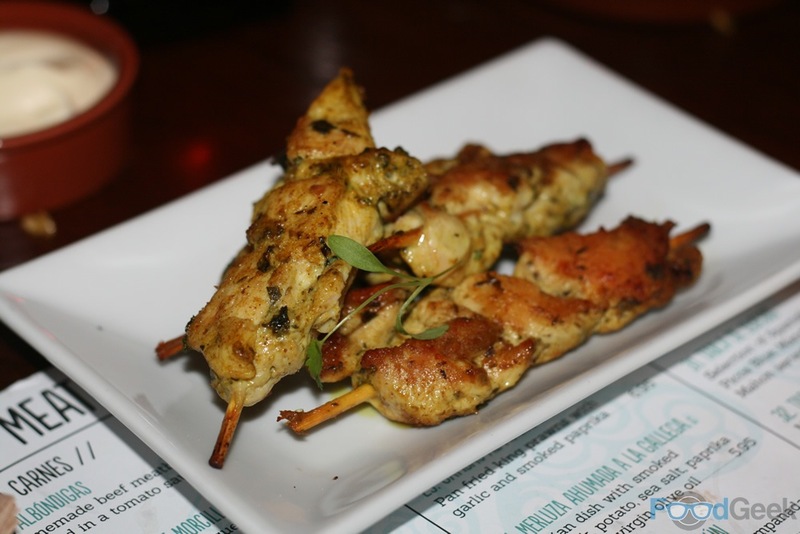 My favourite dish was ‘Pinchitos Morunos’, juicy Moroccan-spiced chicken skewers served with a luxurious saffron aioli. 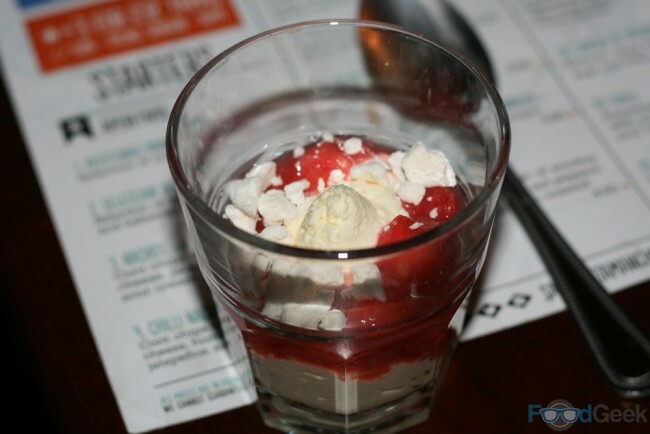 ‘Strawberries In Cream’ was nice enough, a take on Eton Mess with fresh strawberries, cream and meringue. 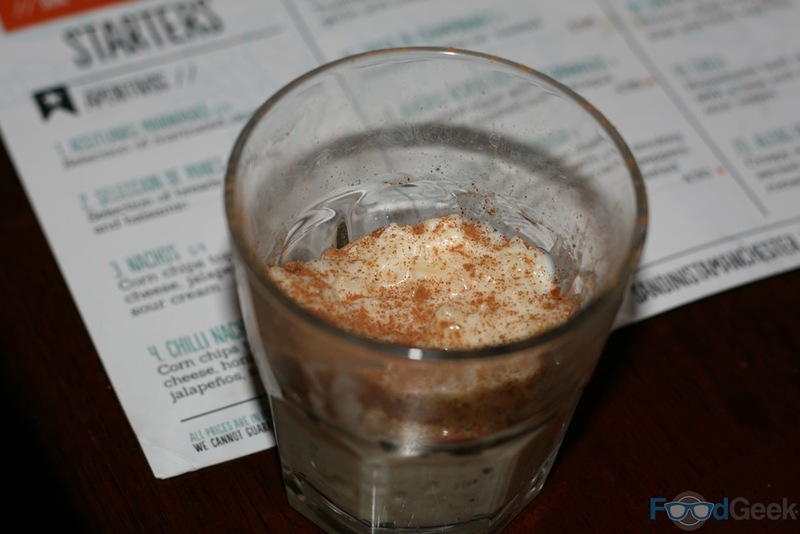 Less successful was the ‘Spanish Rice Pudding’ which was undercooked, a little claggy and topped with far too much raw cinnamon. It was the only dish of the night I couldn’t finish. We ended on a high at least. 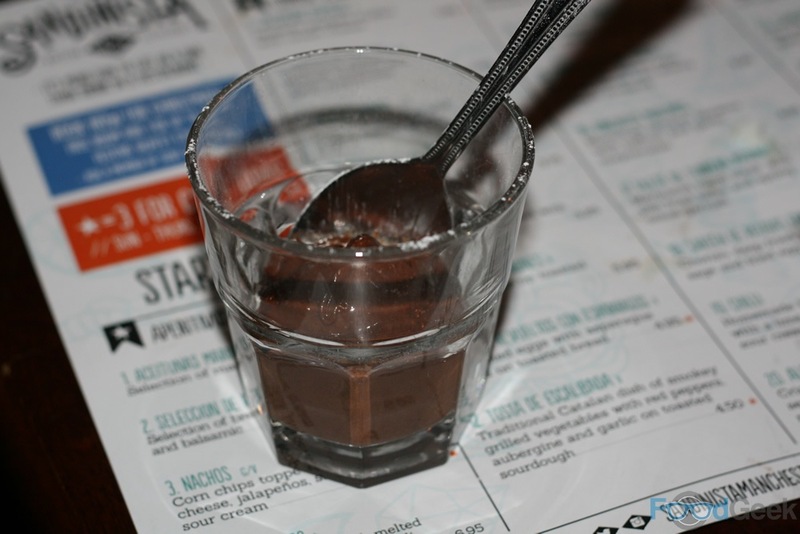 The ‘Chocolate Mousse’ was dark, rich and intensely flavoured. Being overly critical, I’d say it was too heavy to be considered a mousse and was more like a ganache. Regardless, it was super smooth and tasted great. 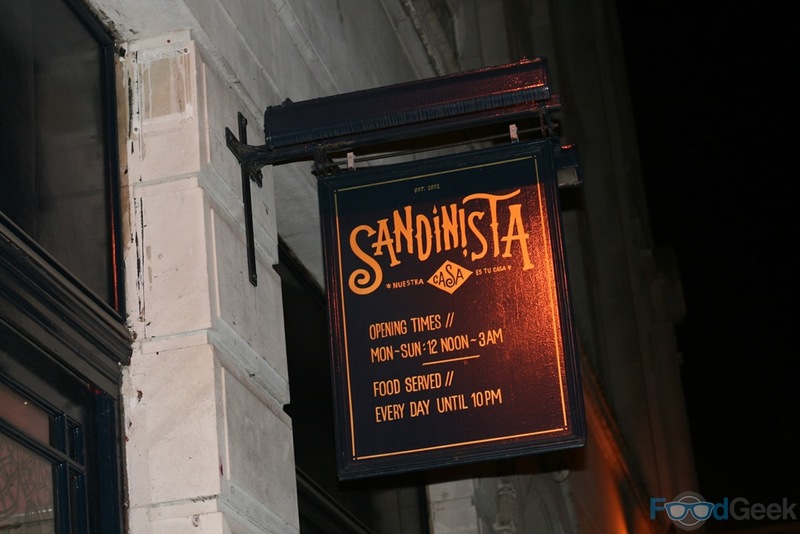 I can’t say I was overly impressed with the food at Sandinista. Most of it was perfectly fine and there were a couple of excellent dishes but overall it just didn’t make me want to rush back to eat there again. I did like the place, though. There was a good atmosphere downstairs, the cocktails were great and there’s a decent range of craft beers. I can definitely see myself returning for drinks, especially if I’m at the theatre next door. Disclaimer: This was an invite only event to preview the new menu.